All five of these games were created on the revolutionary SEGA Model 2 arcade hardware that was first released to the public in 1993 with Daytona USA, which was released to both download platforms late last year. Each one of these games is also developed by SEGA AM2 with the exception of Virtual-On, which was by SEGA AM3. The only game in the lineup that is not a fighting game is Virtua Striker, which is a soccer game. 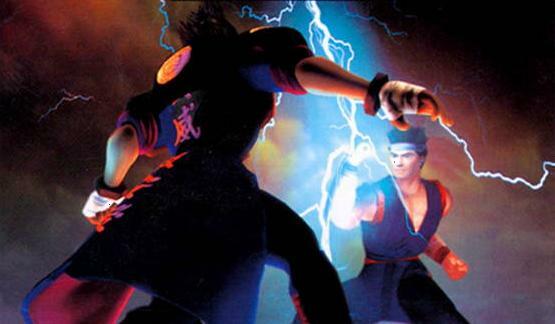 Although each release will include new features — such as online play — every game is intended to play exactly like their arcade counterpart, which is especially notable for Virtua Fighter 2 and Fighting Vipers, as they have only ever been converted into similar products. Even more surprising, the highly obscure Sonic the Fighters will include Metal Sonic, Dr Robotnik and Honey the Cat (an animal version of Honey/Candy from Fighting Vipers) as playable characters that were not previously accessible without hacking. The first three games listed will be made available for download this fall. Each will be 10 USD (800 Microsoft Points on Xbox 360), but a deal across both consoles will allow players to purchase all three titles together for 15 USD (1200 Microsoft Points). Virtua Striker and Virtual-On will be released some time next year. Included after the break is the reveal trailer and official Japanese website. This entry was posted on October 18, 2012 at 1:28 pm and is filed under AM2, AM3, Digital Download, Hitmaker, PlayStation 3, PSN, SEGA News, Sonic the Hedgehog series, Virtua Fighter series, XBLA, Xbox 360. You can follow any responses to this entry through the RSS 2.0 feed. You can leave a response, or trackback from your own site. From my understanding these have only been confirmed for release in Japan. Do you have word of whether or not they will be released worldwide?